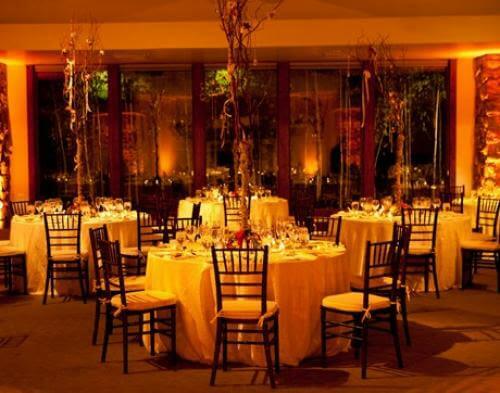 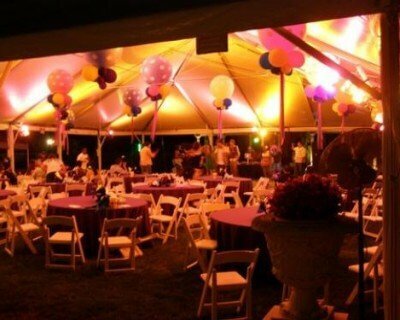 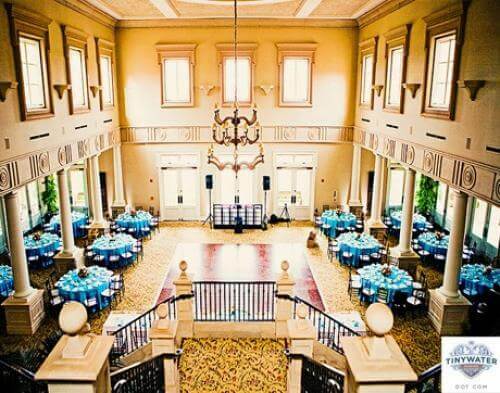 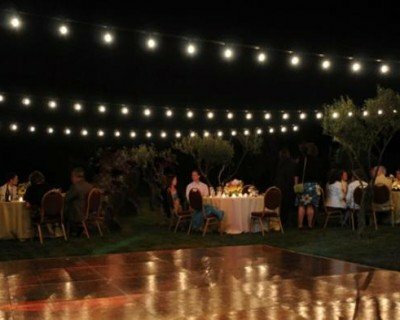 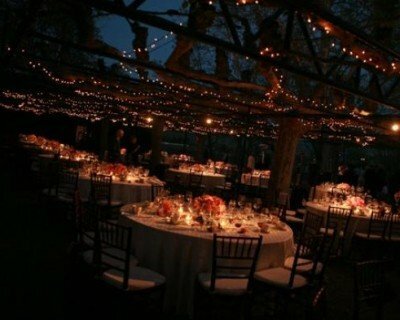 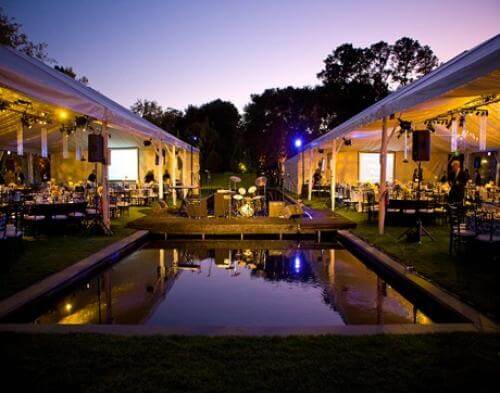 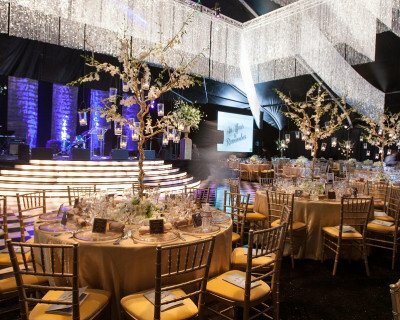 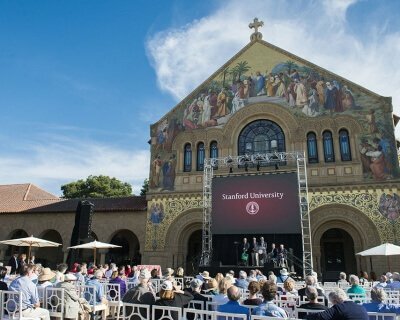 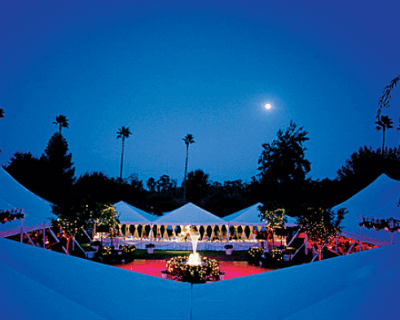 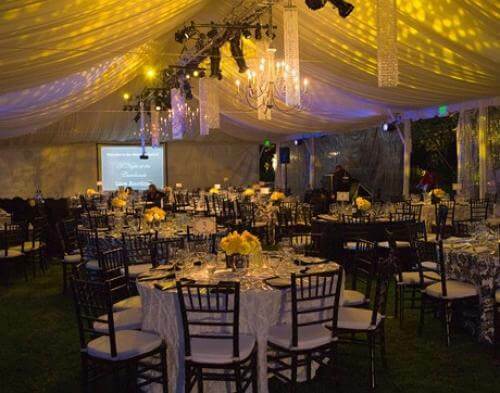 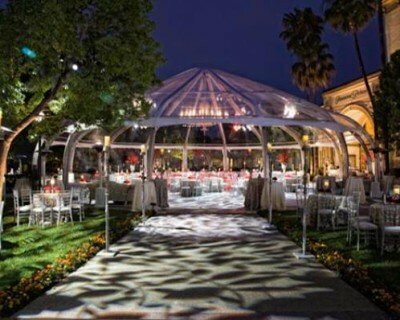 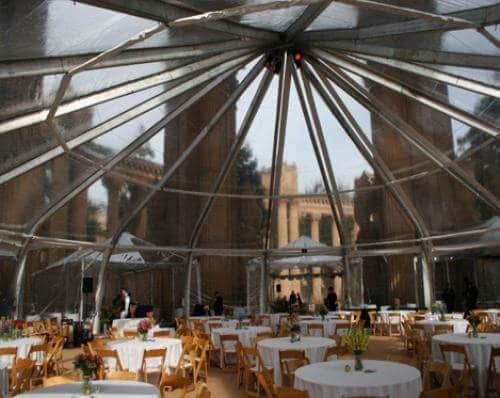 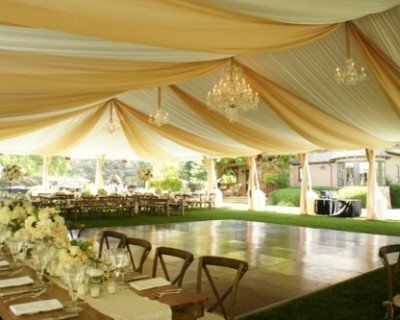 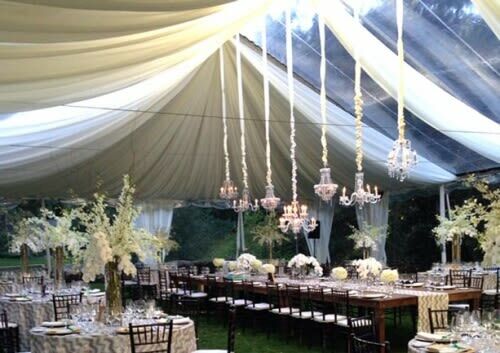 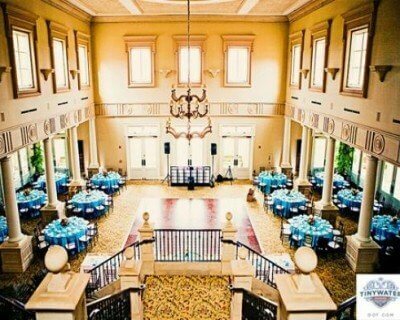 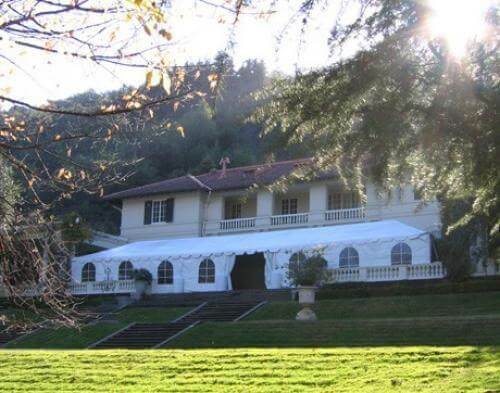 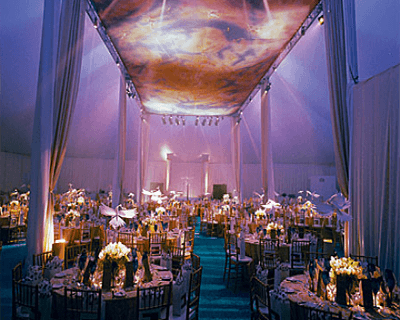 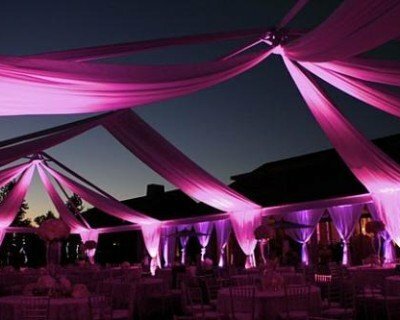 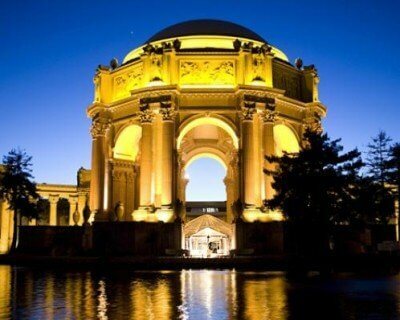 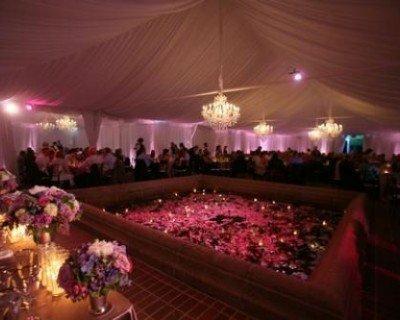 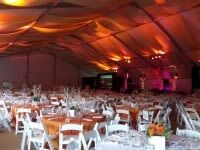 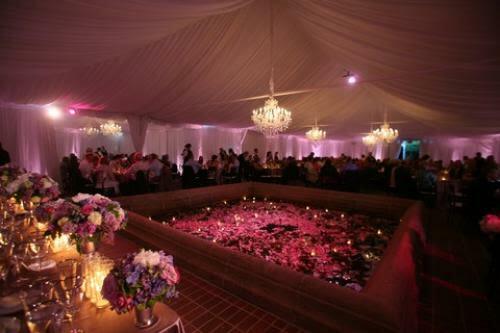 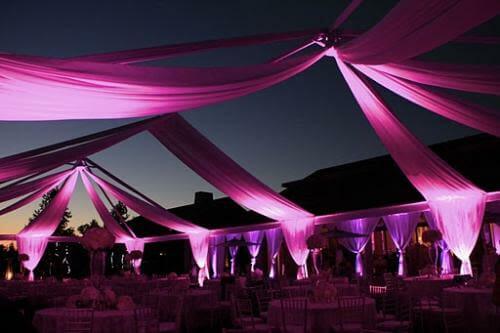 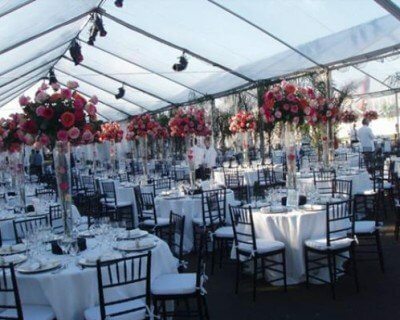 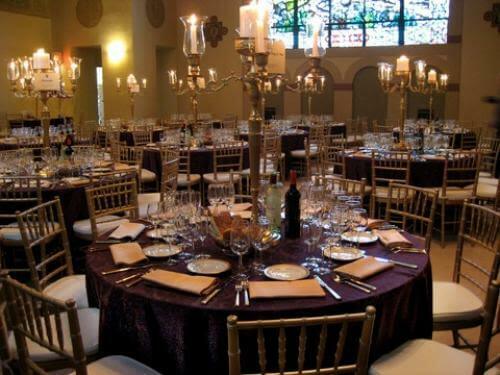 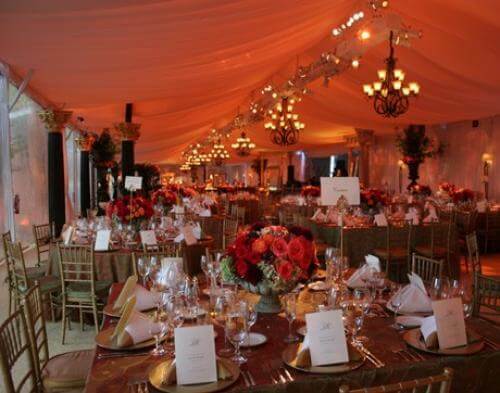 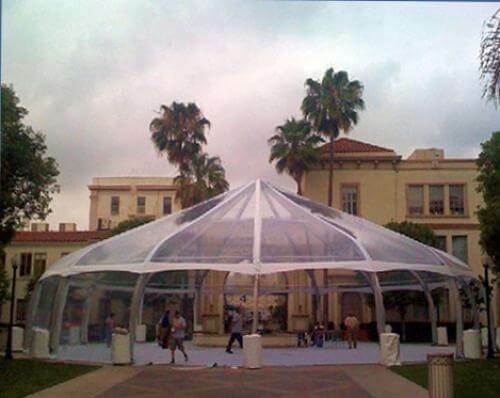 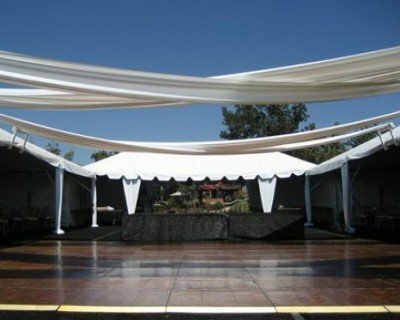 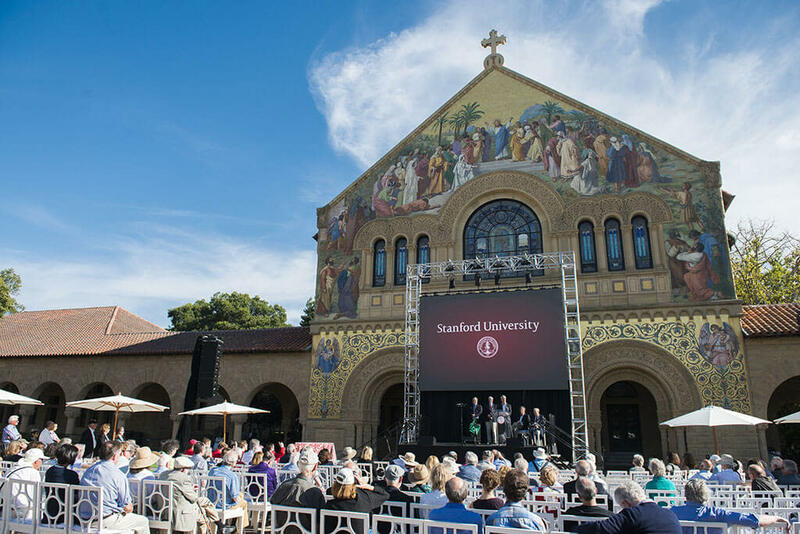 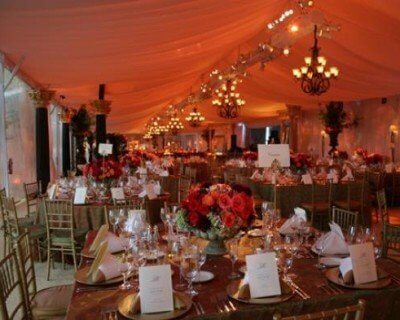 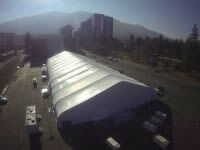 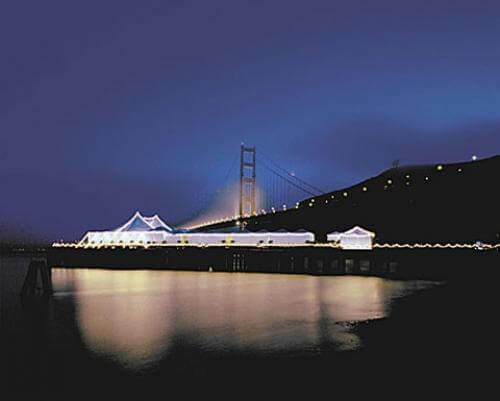 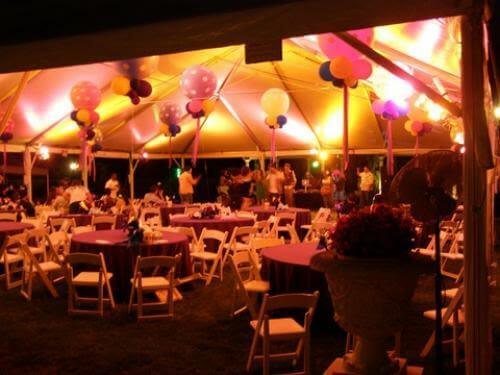 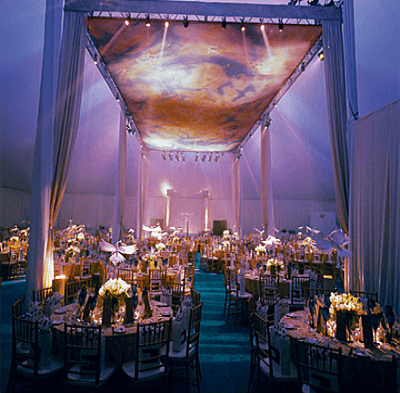 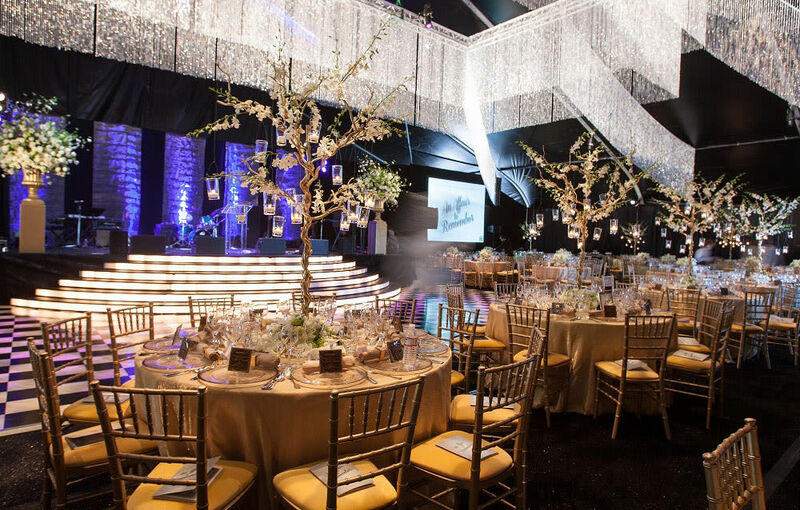 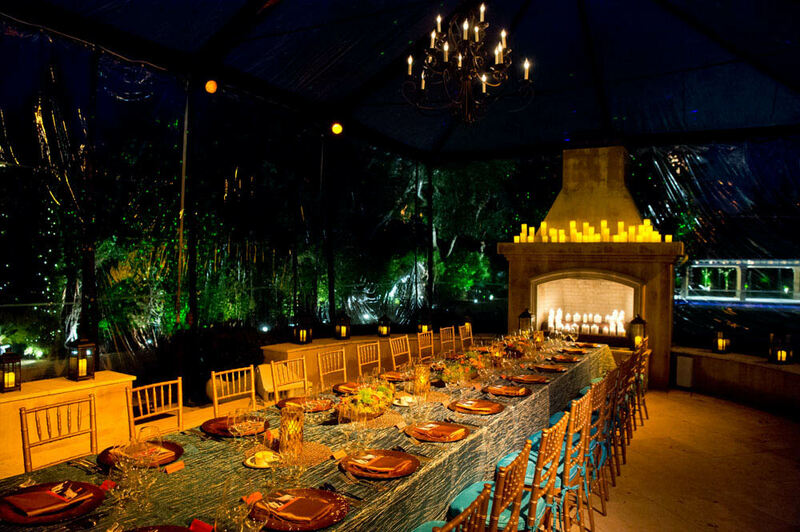 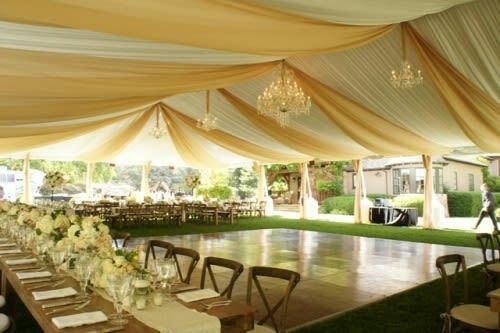 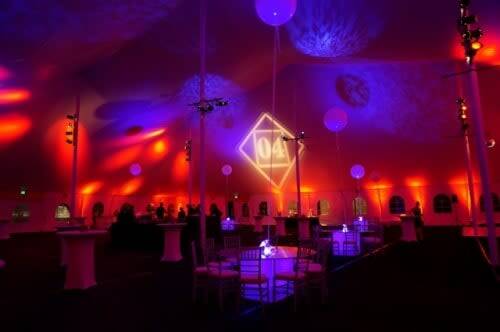 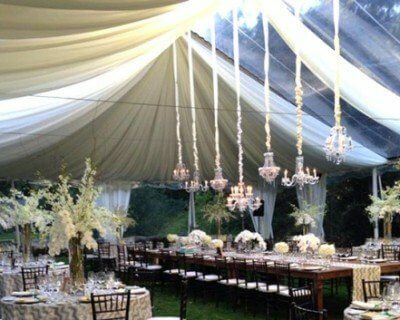 This annual event took place under (2) 40 x 80 frame tents that were separated by a stage installed over a rectangular fountain at the Carolands Mansion in Hillsborough, CA. 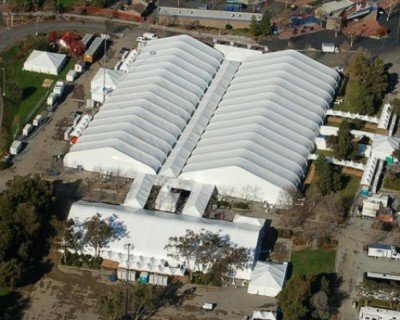 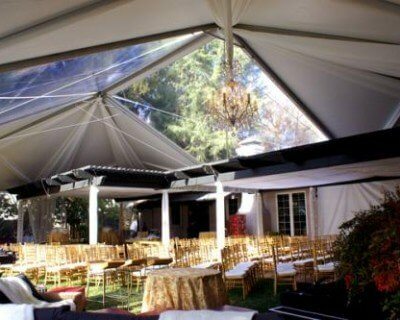 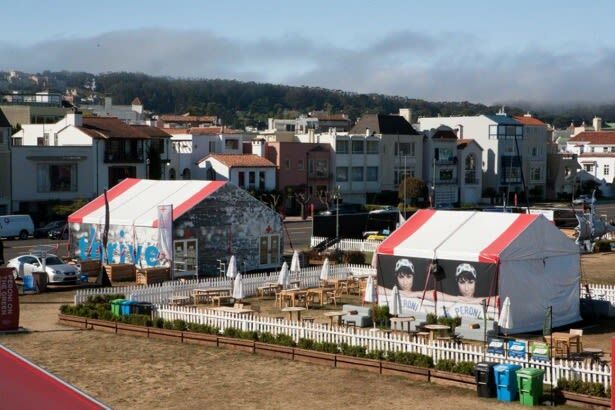 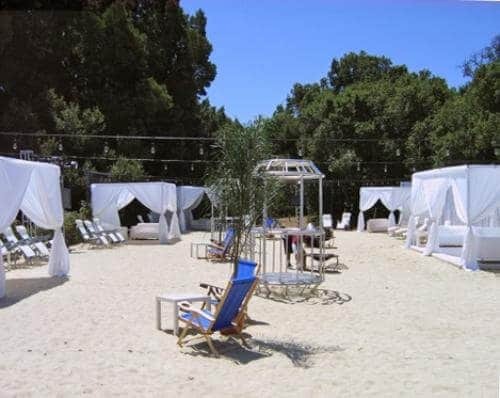 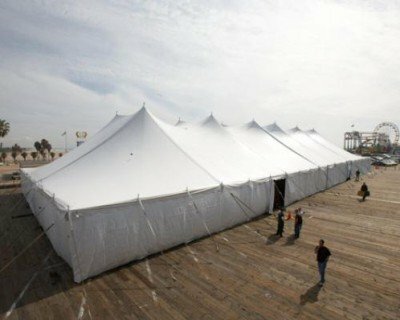 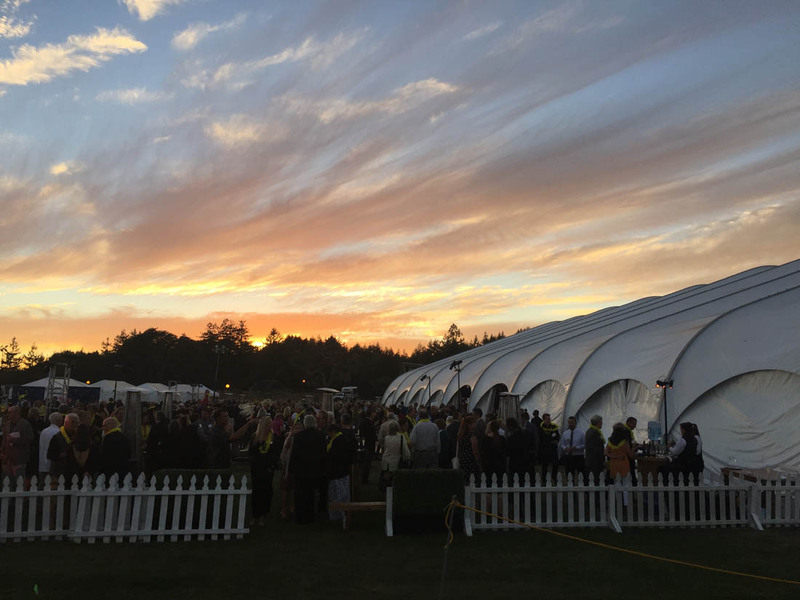 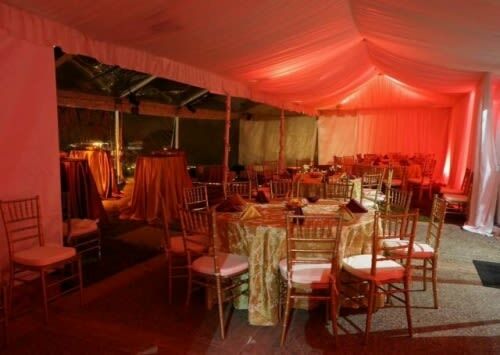 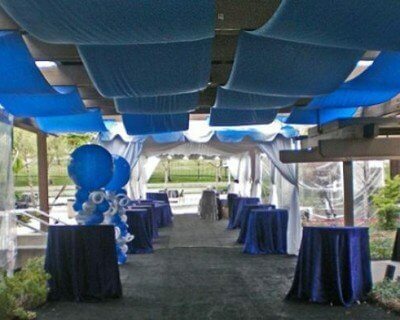 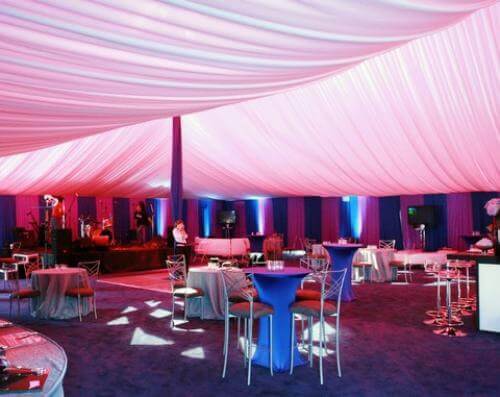 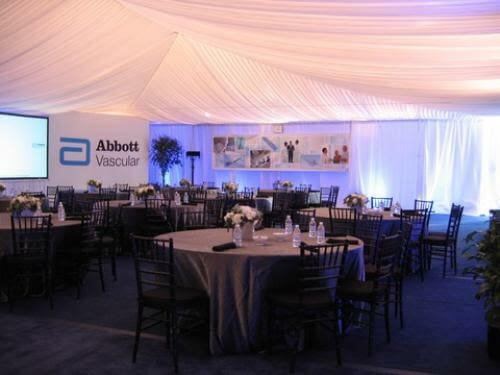 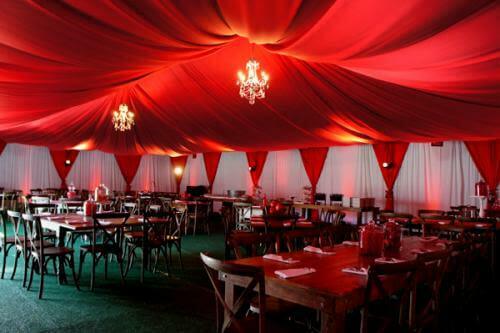 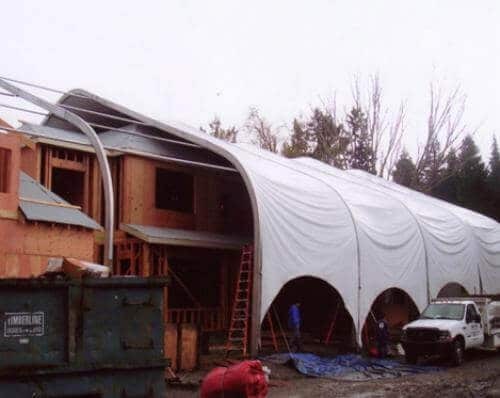 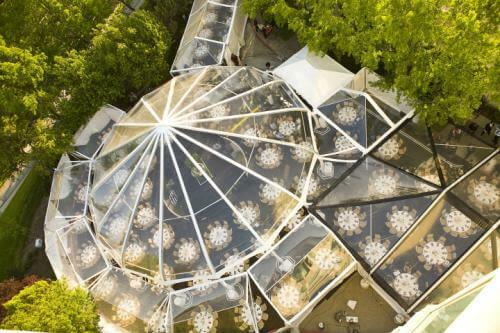 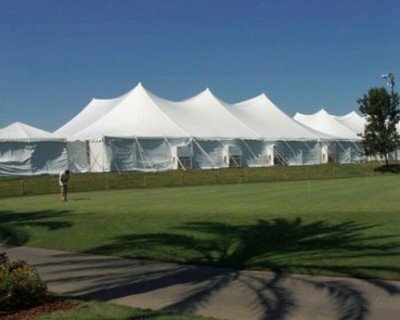 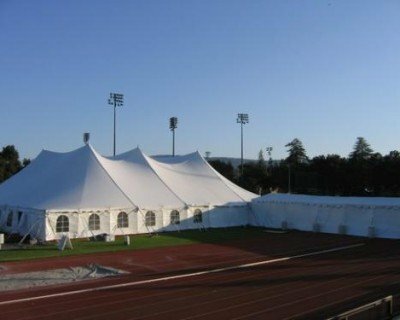 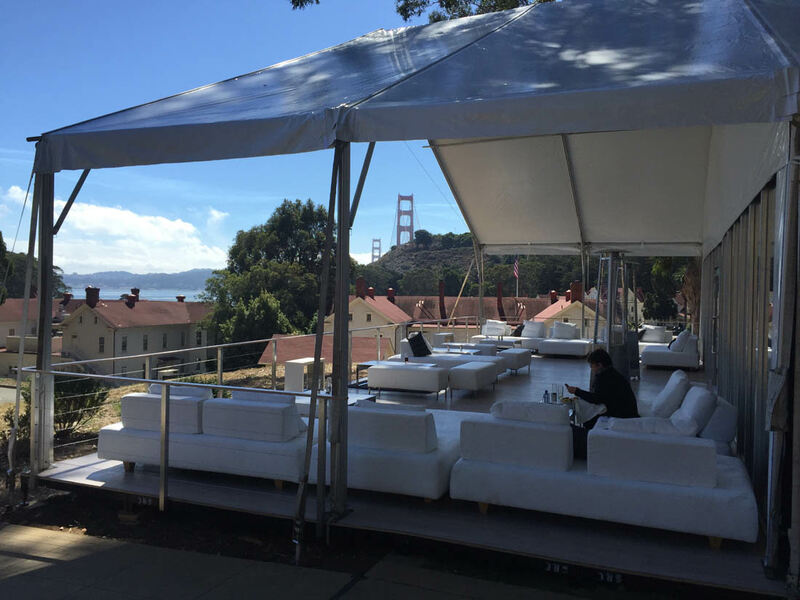 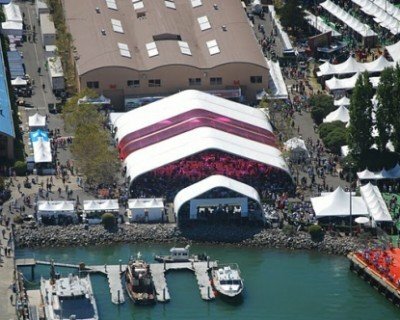 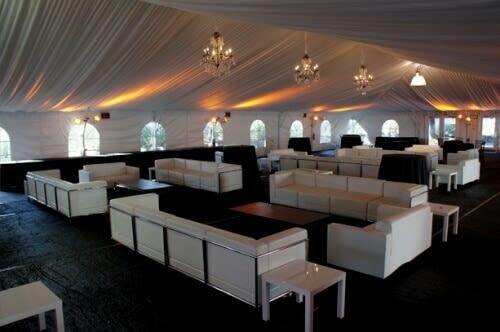 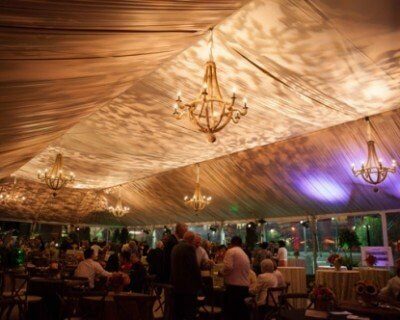 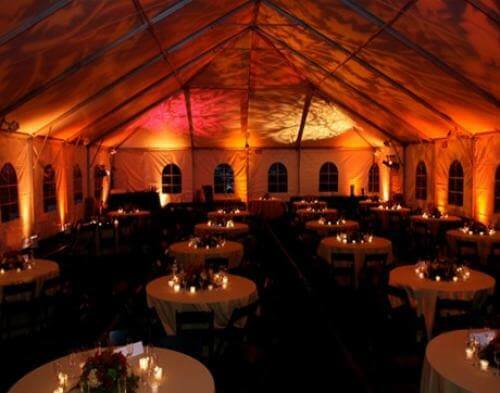 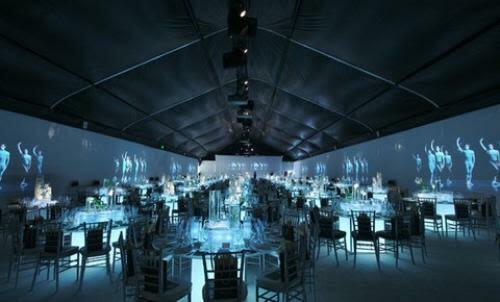 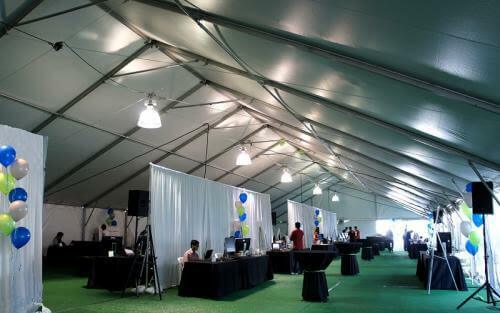 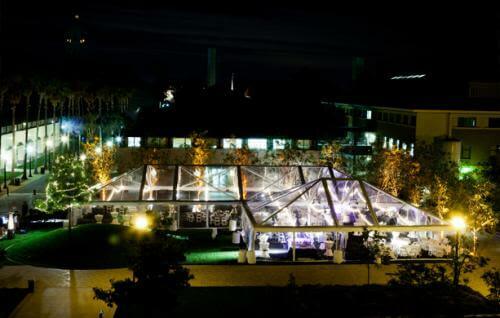 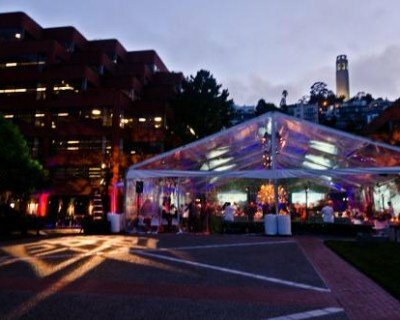 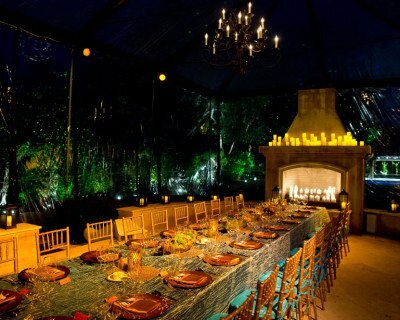 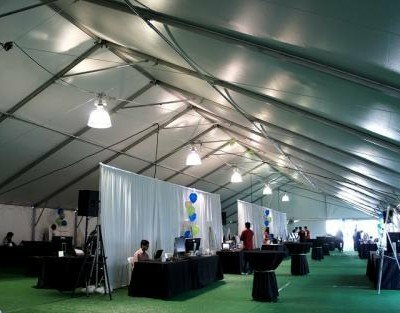 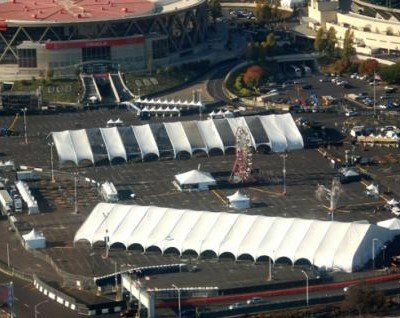 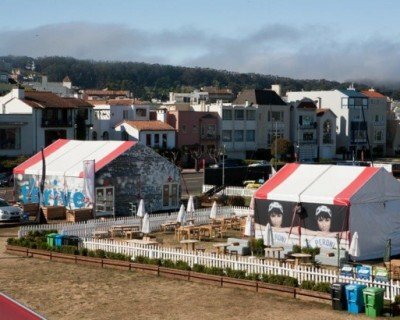 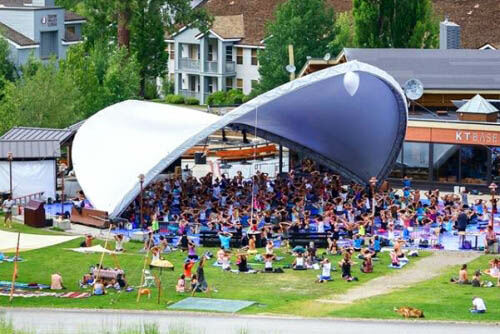 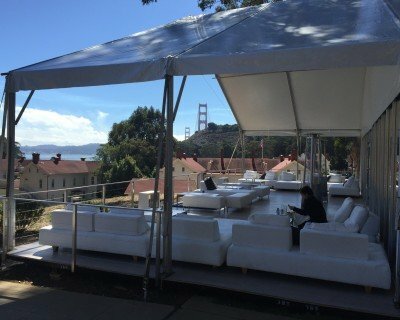 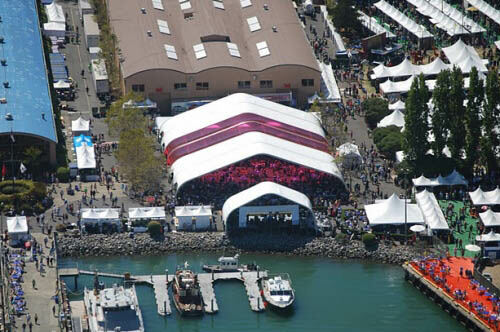 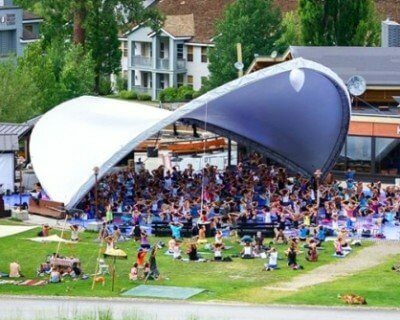 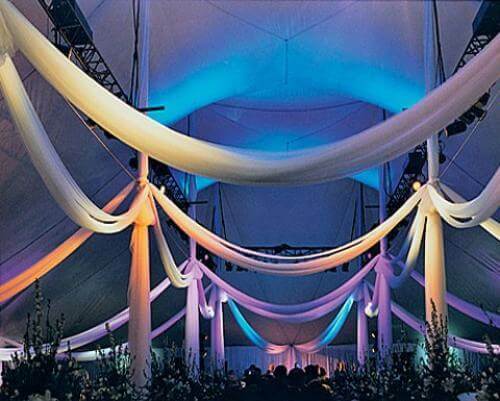 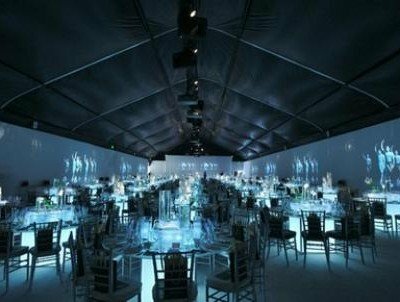 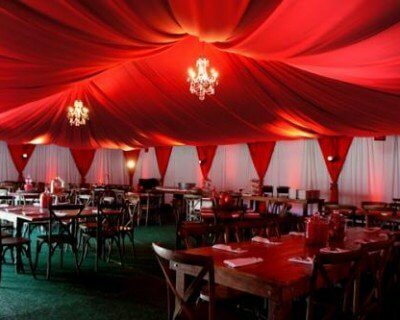 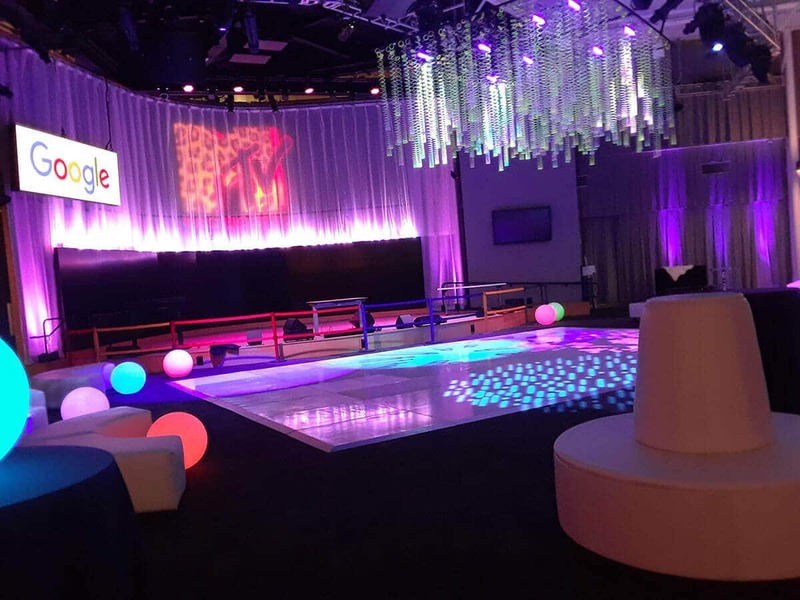 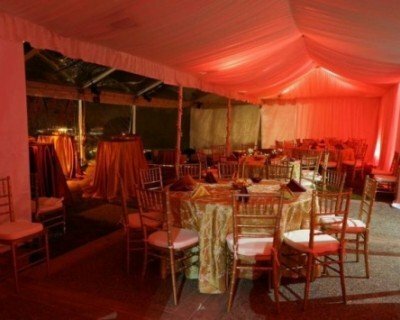 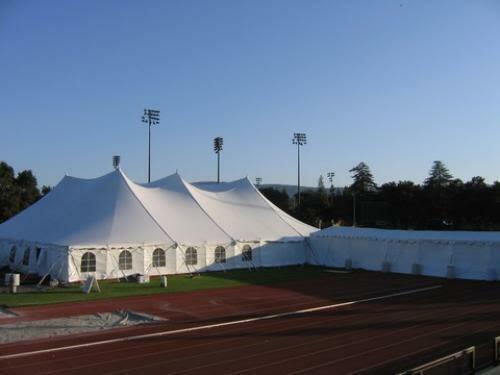 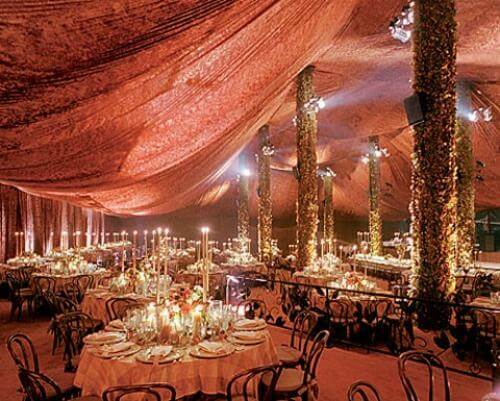 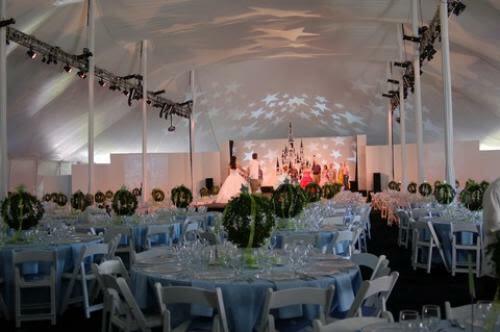 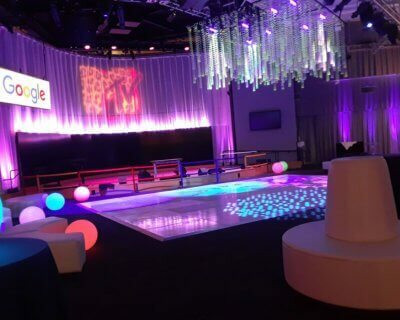 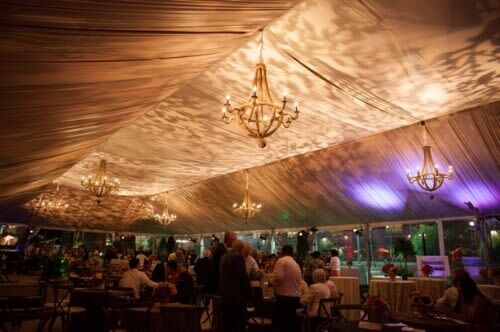 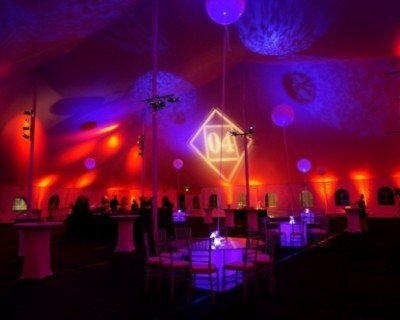 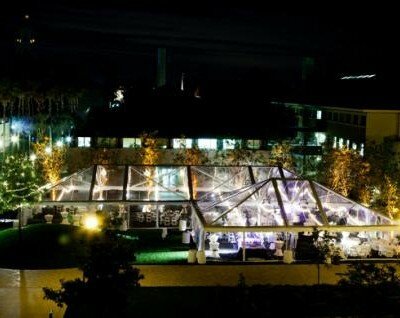 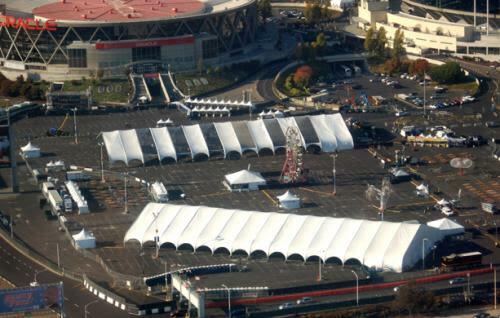 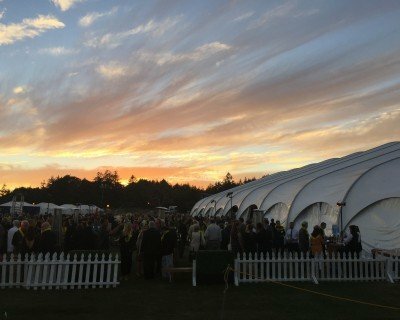 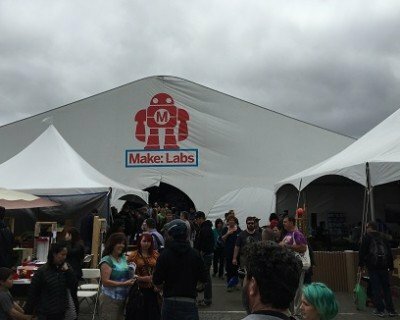 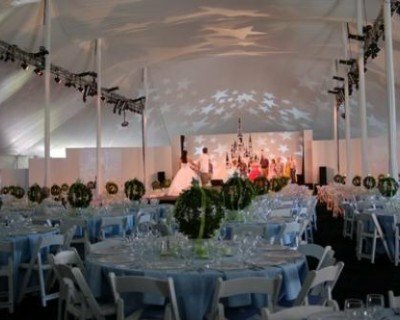 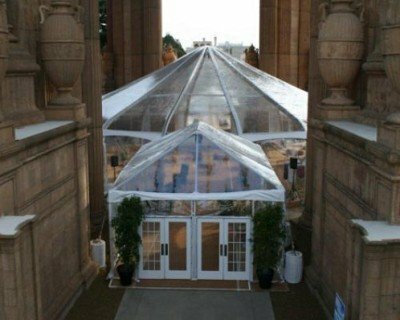 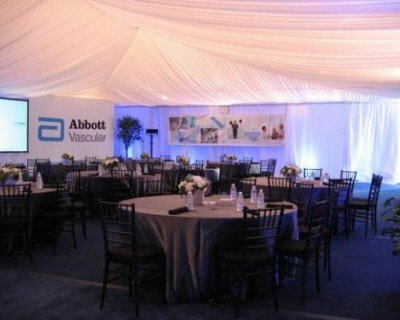 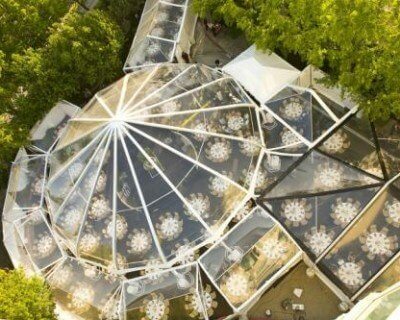 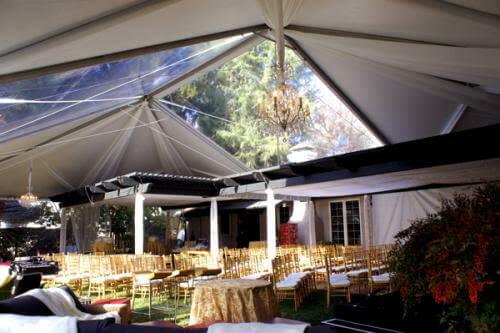 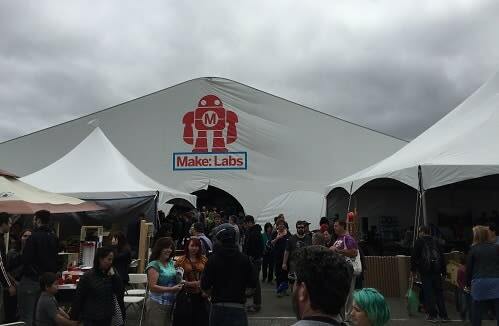 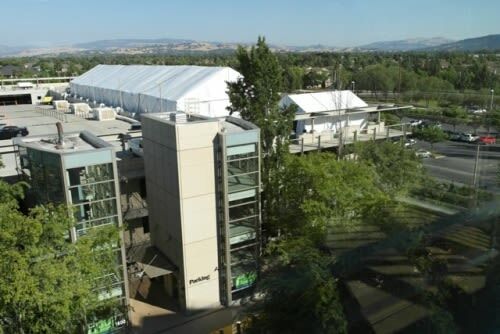 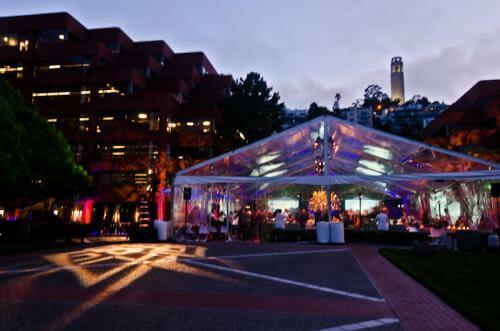 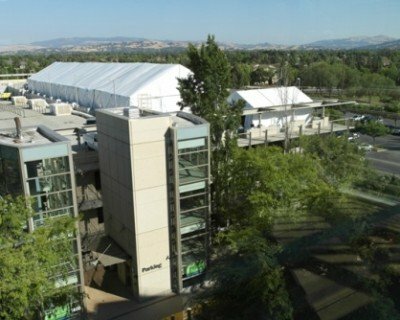 A pre-fab ceiling liner in each tent brought class and elegance to the event while clear walls and open sides allowed guests to feel close to their natural surroundings. 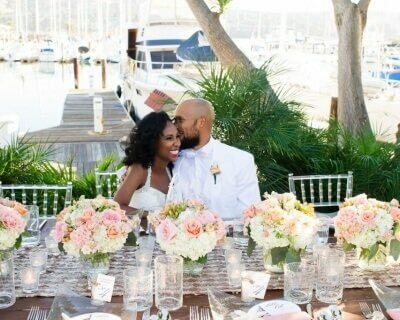 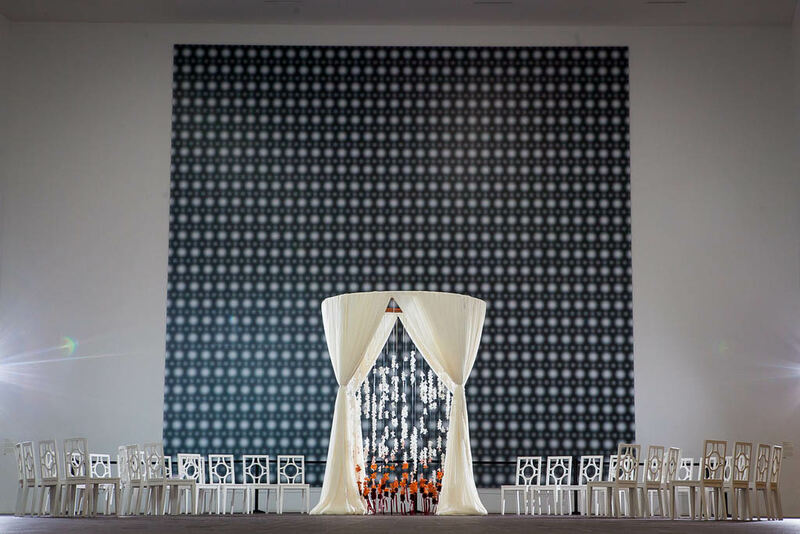 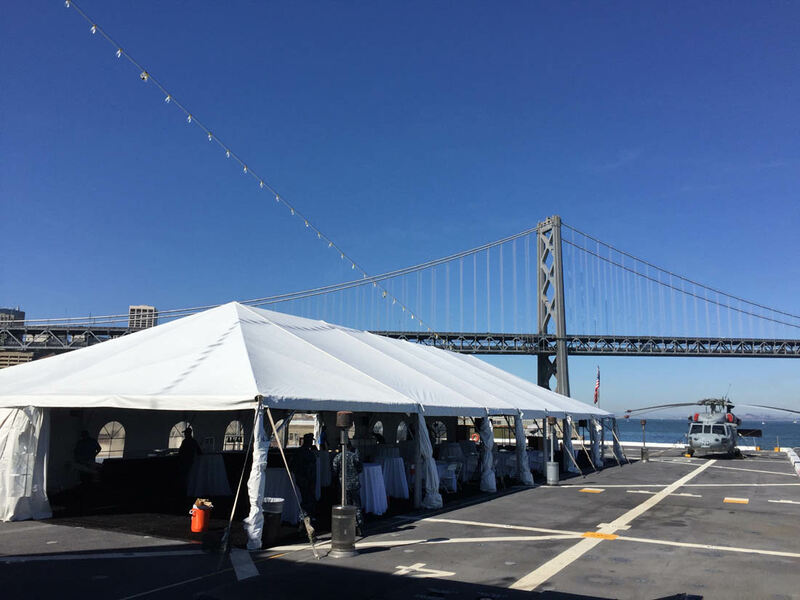 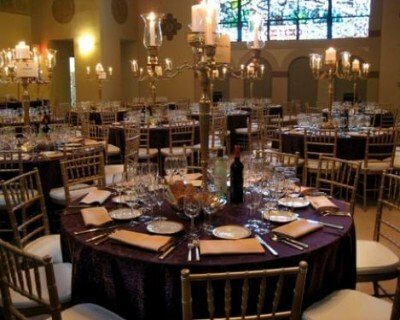 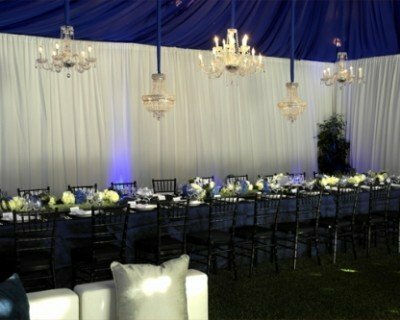 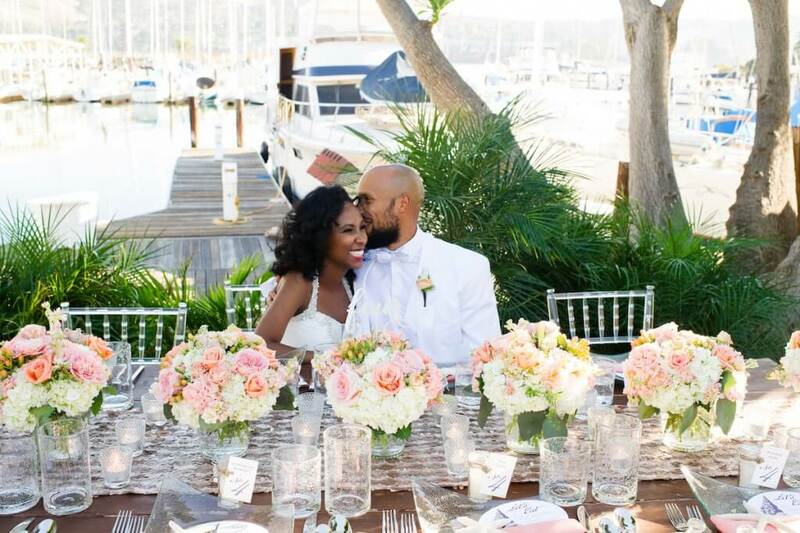 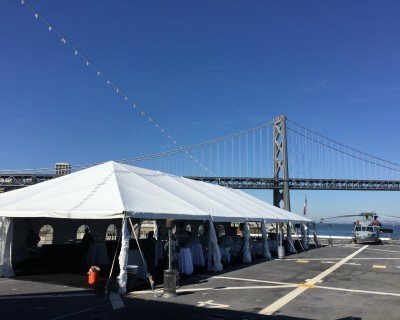 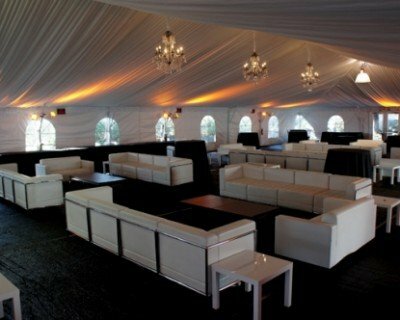 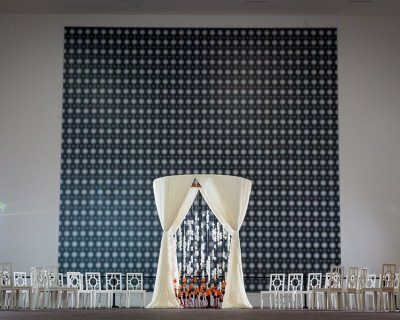 The linens, napkins, and chairs under both tents kept with a black and white theme with Orleans Black and White, Donatello White, and Pintuck Black linens alternating each table. 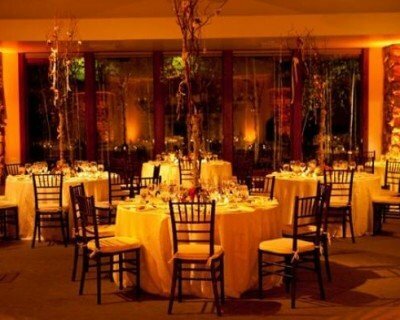 Yellow lighting and flowers brought a warm, golden, glow to the entire atmosphere. 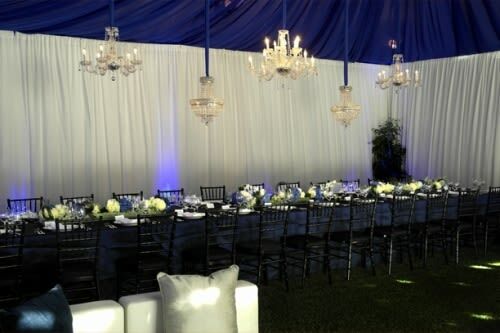 For more pictures of this event, take a look at our Facebook page.